Is it Legal to Get Paid “Under the Table”? It is not uncommon to perform a task or project some someone, only to be paid in cash. The likelihood that those wages get reported to the Internal Revenue Service are slim to none. While it is not illegal to receive cash from an employer for work performed, it is illegal not to report these wages to the government. Indeed, both the employer and the employee must report these funds. If your employer decides to pay you under the table, understand that employment law will not recognize you as an actual employee. In short, you lose out on several benefits and legal protections. That being said, being paid off the books will not necessarily get you in trouble with the law, assuming you satisfy all of your tax responsibilities and properly report the income to the IRS. Your employer, however, will likely have trouble with multiple government agencies if they are ever caught paying their workers under the table. Getting paid off the books can be illegal for an employee if he or she does so in order to avoid paying taxes on the income. The same is true if the employer does so to get out of having to pay payroll tax payments, workers’ compensation premiums, and other mandatory benefits. There are also other negative consequences to having non-reported income. This is because employers and employees pay into government benefits as they work over the years. Typically, a paycheck has withholdings for income taxes (state and/or federal), social security taxes, and medicare taxes. When you are on payroll, both you and your employer contribute to these taxes. If you ever become disabled and need to apply for benefits from the Social Security Administration - they not only pay out retirement benefits but disability benefits as well - you may not be eligible. This is because in order to obtain social security disability (SSDI) benefits, a person must have worked five of the last 10 years. No matter how you are paid, you have a legal obligation to report all income earned to the government and pay the appropriate taxes on that amount. Failure to do so will result in trouble with the IRS including, but not limited to, monetary penalties for failure to make estimated tax payments, monetary penalties for inaccurate reporting, as well as interest charges on the entirety of the amount of back taxes owed, or penalties for failure to file taxes at all. Your retirement will also be put at risk. If your employer is not paying into the Social Security retirement system -- and, possibly, neither are you -- you are not getting credit for working. This will ultimately reduce the amount of the monthly check to which you are entitled when it is time to retire. Finally, being paid under the table may result in you becoming ineligible for workers’ compensation benefits if you are injured on the job or unemployment benefits in the event you lose your job. In short, it is both illegal to work under the table and not a good idea because it affects other aspects of your life. 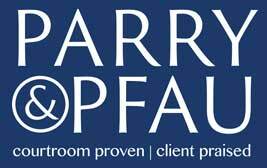 If you have more questions about this topic or any other legal topic, contact the knowledgeable Nevada attorneys at Parry & Pfau today. Older PostWhat are Self-Defense Laws in Nevada?